Has anyone else been watching the videos on YouTube in which people mix all of their products together? No, it's just me? I've seen this done with foundations, eyeshadows, liquid lipsticks, highlighters, etc. and the idea is that if you combine all of your products you will get something with the perfect shade, coverage, and consistency for your personal tastes. I believe the idea came from Safiya Nygaard's videos so all credit to her for this post! I decided to mix together all of my foundations because it seems like everyday I already mix my foundations. 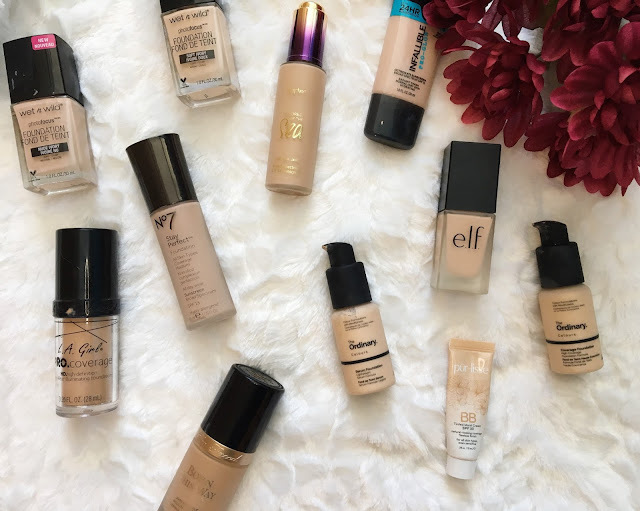 If I'm trying to get use out of a matte foundation, I like to mix in a bit of a dewy foundation, if I have a darker foundation I mix in a white lightener, etc. I'm really curious what the outcome would be if I mix together all of my foundations, whether they are light or dark, dewy or matte, neutral or yellow-toned. I added all of these foundations to an empty case that I have and mixed them together with some tweezers. I added: 7 neutral foundations, four with a yellow undertone, one with a pink undertone, and one white mixer. 3 had a light coverage, 7 had medium coverage, and three had a high coverage. 5 had a dewy/luminous finish, 4 had a satin finish, and 4 had a matte finish. 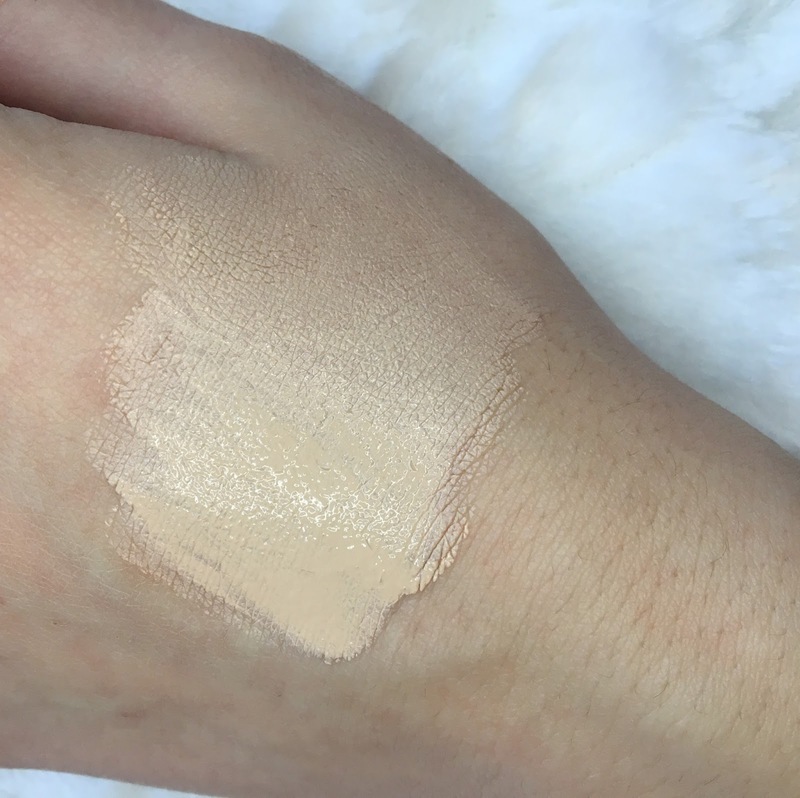 Overall, I was expecting a foundation with a neutral undertone, a medium coverage, and a satin finish, and that is almost exactly what I got. 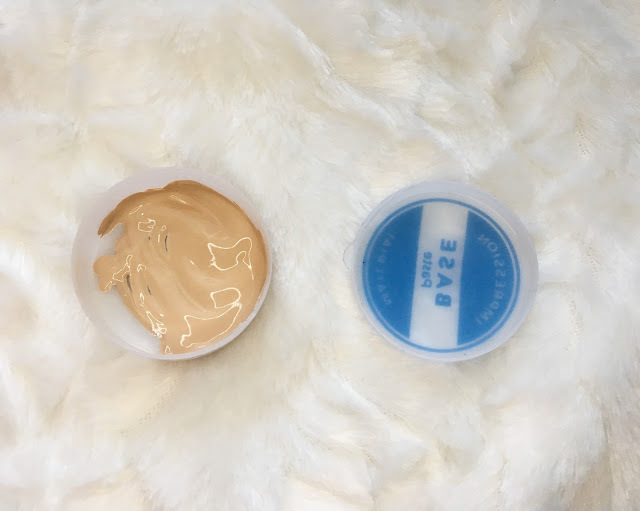 The mixed foundation was almost a perfect match for my skin. It is a hair too dark, but at the moment I am the palest I ever get so I expect to be too light for most of my foundations. It was more yellow-toned than neutral, which is fine as I have a yellow undertone anyway. It had a medium coverage but I used a lot more foundation than I usually would to get medium coverage. I think it had more of a luminous finish than a satin or matte one. Overall, I like the mixed foundation a lot but I hate the scent. You would think combining all of my foundations would weaken the scent of the Wet n' Wild Photofocus, but sadly my mixed foundation still smells like paint. I probably only have one or two uses left of my mixed foundation but I will definitely use it up! It was a fun experiment but I don't think I would do it again. If I want a foundation with a medium coverage that matches me I can reach for one of the 7 in my collection that does the same thing. What do you think of this experiment? Have you heard of it before this post? 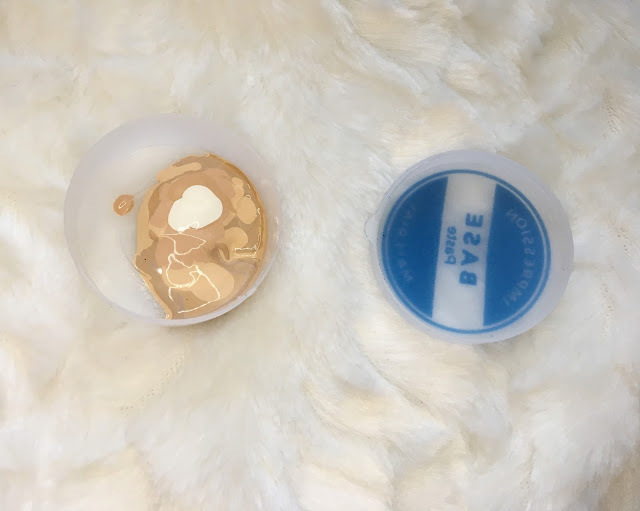 19 comments on "Mixing All of My Foundations Together"
I haven't heard of this craze before! I know people like to mix two or so foundations if the colour is wrong, or something! Surely it would take so long to mix all the foundations you own together, for an everyday look!? I seen this craze on youtube and am so interested in it, I think I might attempt this too. I would also like to let you know that I have tagged you in The Myster Blogger Award, Hope you have as much fun as I did writing it. I haven't heard of such a thing before. What an interesting and fun experiment! Question for you!! I've been wanting to try the Tarte Rainforest of The Sea! How do you like it?? Yeah it's so weird that when you mix things like foundation together that it can smell like paint isn't it? I always find it so off putting! This is a really cool idea though. Yeah, I watched a couple of videos on this idea but I never thought of doing this myself.You have so many foundations, I need to try more! I've seen the thumbnails but never checked out any of the videos on Youtube. I've stayed away from the Wet N Wild foundation because of the smell. Great post! Awesome idea! You will have a unique shade. I always try to play it safe with my foundations, I never like the idea of mixing them! Though this does look like an interesting experiment! Sounds like a fun idea but not sure if I'll ever do it. I very rarely mix my foundations and if I do it's usually with a serum or an oil. It's an interesting idea! I often mix one or two but can't imagine mixing them all, as it seems like a bit of a waste of product to do all the time.